Thanks for the 32 bit version! Setup was not completed successfully"
Installation hangs here. I have only "Cancel" button. Is there files and folders in CalibrePortable\App ? It works. Thank you so much!!! 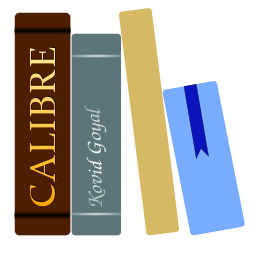 I want a simply shortcut to caliber portable.exe -edit-ebook (but this not work! )....how to? Copy this launcher in \CalibrePortable folder. You can use drag'n drop of ebook on launcher to open. The correct name is calibre-64bit-2.50.1.msi and if you run installer in same folder entering 2.50.1 and unchecking 32 bit it will not download but extract files from msi (tested). I've try but don't work! I don't have rinaming name of .msi file! Simply I've download from your link. You are right, I tested with a different installer. Solved! The file calibreportable.exe required calibre32.msi AND calibre64.msi in same folder! After you choose win32 or win64 bit version for installation (or both). Anyway thanks for your support! it's possible have this on CalibrePortable folder and not into ....AppData\Local ? Thanks for the 64 bit version!